That's right, folks—2019 is basically tomorrow. As we prepare for the New Year by making resolutions, purging our closets, and setting a plethora of potentially unattainable goals, planning out our 2019 wardrobes is a priority that doesn't fall far behind. We've done a fair share of reporting on all the sartorial items and trends that will no doubt flourish next year, but today we're here to home in on one that we're already seeing bubble up all over Instagram: headbands. This year, hair accessories of all kinds infiltrated the heads of influencers, It girls, and the runway, including everything from barrettes to hats, and from what we can see so far, 2019 is the year of the headband—mark our words. Ahead, we've gathered a few of our favorite influencers sporting the headband trend and rounded up the ones we've developed a particular fondness for. From delicate crystals to statement-making velvet braids, get ready to shop the headband trend that we know will blow up even further in just a couple of months. You'll need this one in every color. The stage is a center is a symbol. #PradaSS19 #MiucciaPrada See more via link in bio. Because who really has time to braid their actual hair anymore? At $6 apiece, we suggest you buy multiple. If this doesn't encourage you to take an Instagram photo, I don't know what will. This one will give you just the right amount of sparkle. And this one will give you just the right amount of shine. 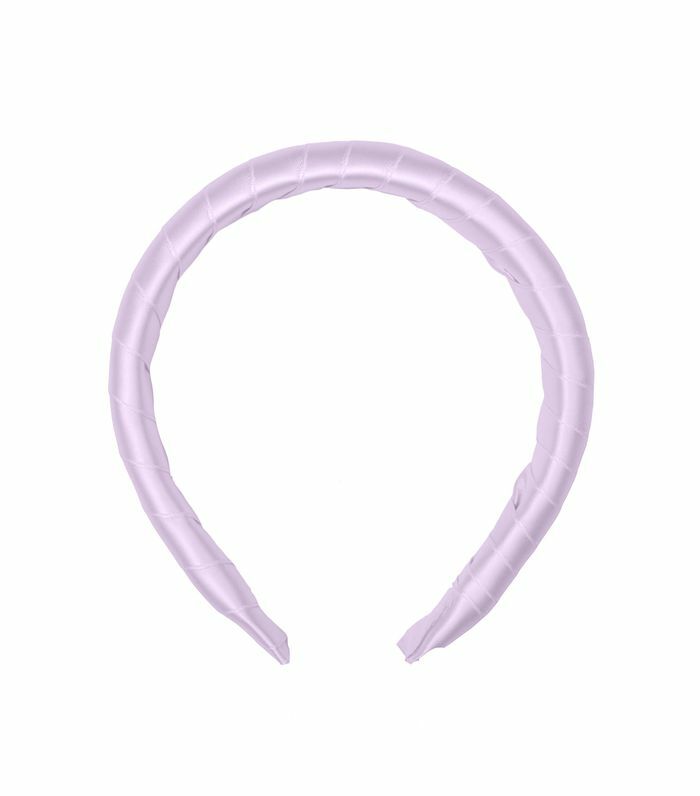 The silky texture makes this headband look so expensive. This accessory will be the star of your entire look, no matter what you're wearing. Vegan leather from Nanushka is something we're convinced fell straight from the heavens. If you haven't followed 1-800-ARCHIVE yet, please do so ASAP. The vintage finds of your dreams are just a click away. Another brand you need to know about is Ca&Lou. You're welcome. And last but not least, a leopard bow to satisfy all your animal-print cravings. Next up, shop all the cool new trends hiding at Zara.